Mark your calendars! 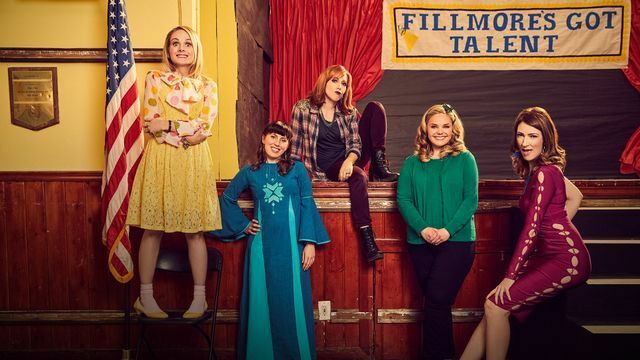 TV Land comedy Teachers returns for its final season on Tuesday, January 15, 2019 at 10:00pm ET/PT. This will also be the final original series for TV Land. The network's most-talked about series Younger is being moved to sister network Paramount Network for season 6 this spring. Teachers revolves around a group of elementary school teachers who are trying to mold the minds of America's youth, but don't have their own lives together at all. Teachers is created by and stars the improv group The Katydids - Caitlin Barlow (Ms. Cannon), Katy Colloton (Ms. Snap), Cate Freedman (Ms. Feldman), Kate Lambert (Ms. Watson), Katie O'Brien (Ms. Bennigan) and Kathryn Renée Thomas (Mrs. Adler). This January, TV One will launch CLEO TV, a new aspirational lifestyle and entertainment cable network targeting Millennial and Gen X women of color. Derived from the name Cleopatra, one of the most powerful, trendsetting, rule-breaking and iconic women in history, CLEO TV will offer quality content that defies negative and cultural stereotypes of today's modern women. The network promises a unique and diverse lineup of short and long-form programming that reflects the multifaceted interests of this generation. With a bold, fearless and fresh take, CLEO TV gives multicultural young women a destination for content centered around travel, home design, relationships, finances, cooking, talk shows, movies, docu-series, sitcoms and much more. As previously announced, CLEO TV will be broadly distributed on Comcast Xfinity beginning January 19, 2019. Additional affiliate distribution agreements will be announced in the coming months. CLEO TV launch advertisers include CURLS Beauty Brands. In addition to its original programs and acquired series, CLEO TV's programming slate will include daily talk show Sister Circle Live and syndicated sitcoms that appeal to young women of color such as Girlfriends and Eve. More info on the other sitcom slate and the full schedule is still to come, stay tuned!